When it comes to drains, it can involve some dirty work. Drains become clogged over time and sometimes the clog is so deep, it cannot be reached. When home-remedies and products fail, it's time to call in the pros and get clogged drains taken care of! Clogged Drains in Chandler, AZ can be caused by many things. In bathrooms, it is often caused by hair. Products such as soap and shampoo can cause build-up around the hair in the drain, adding to the clog and attracting more hair to it. In the bathroom sink, hair again can be a culprit along with washed down products such as lotions, makeup, or hair products can cause a sticky mess. These products can also stick to the walls of the pipes and build up in pipe joints, causing drains to drain more slowly. They may not be fully clogged, but you will notice a slow decline in the drain speed over time. 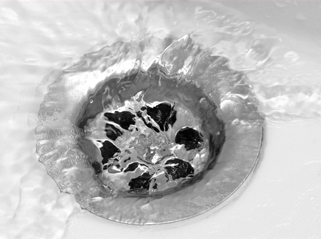 A good drain cleaning will rid of this sticky, slimy build-up and restore full drain power. Kitchen sinks are notorious for clogging with food debris, including grease. We all know dumping grease down the drain is never a good idea, but it's inevitable that some grease will make its way down the drain. As with bathroom sinks, it begins to stick to the sides and joints of pipes, slowing the drain. It can eventually bind with other debris to partially or fully clog the drain. Removing this debris and cleaning the Clogged Drains in Chandler, AZ brings them back to how they worked originally. Not only do these things slow and clog drains, they can create foul odors which rise from the sink. A periodic drain cleaning service rids these odors in the Clogged Drains in Chandler, AZ, making for a healthier and better smelling room.